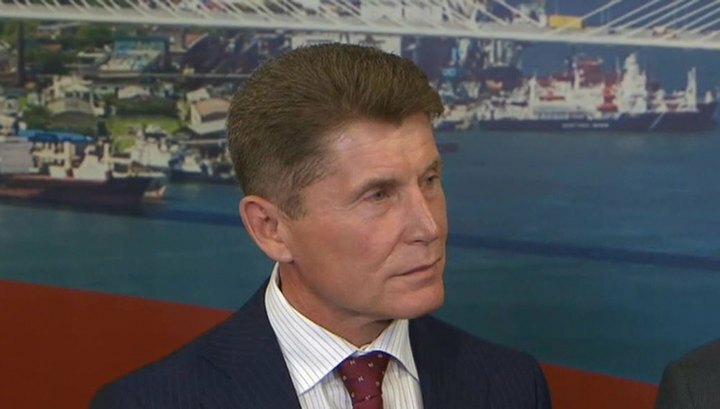 The Electoral Commission of the Primor Region has registered as a candidate for the office of Governor Primorye, the acting chief representative of the region, Oleg Kozhemyako. As mentioned, he takes part in the election as a candidate who is himself promoting himself. A total of 22 people, including 12 self-proclaimed candidates, announced their desire to participate in the election of the head of the county by the Primorye Election Commission. Up to now, only 11 people have been submitted to the registration documents. Candidates who have expressed their wish to take part in the elections should apply for registration from November 11 to November 18 inclusive. After verifying the Electoral Commission, it decides whether the candidate registers or rejects. As stated, the new elections of Governor Primorsky Krai will take place on 16 December this year. Andrei Tarasenko, the then acting executive governor who was at the time of the election of the region's chief, took part in September and was nominated by the United Russia. State Duma Deputy Andrei Andrejchenko was from the Liberal Democratic Party. Candidates Andrei Ischenko, Aleksey Kozitsky and Julia Tolmachy represented the Communist Party of the Russian Federation, just Russia and the Russian side of the retirees. At the end of the second round of voting, he received a candidate from the United States, which won 49.55 per cent of votes, but refused to continue the campaign and resigned. On September 20, the Central Electoral Commission recognized the results of the Governor's election as void.